Jefferson Beauregard Sessions III, better known as Senator Jeff Sessions has been nominated by President-elect Donald Trump to be his US Attorney General. That nomination has come under fire from liberals, which is no surprise and among the charges being made against him, many are referring to him as a racist. Sessions was born and raised in Alabama. In 1981, President Ronald Reagan named Sessions to be a United States Attorney for the Southern District of Alabama. He served in that position until 1993. In 1995, Sessions became the Attorney General for the State of Alabama. While serving as the US Attorney for the Southern District of Alabama in 1985, Sessions was involved in the famed civil rights case of the Marion Three. The case involved three civil rights activists, two of which were Albert Turner and his wife Evelyn. Albert was a former aide of Martin Luther King Jr. They were charged with tampering with votes in what was then known as the Black Belt of Alabama. Sessions was the US attorney assigned to prosecute the case. Even though the three defendants were acquitted by a jury, Sessions was labeled a racist just for daring to carry out his duty as the prosecutor. In 1998, Sessions ran for the US Senate from Alabama and won. Having spent nearly 20 years in the Senate, Sessions has served on the Committee on Armed Forces, Committee on Budget, Committer on Environment and Public Works and the Senate Judiciary Committee. 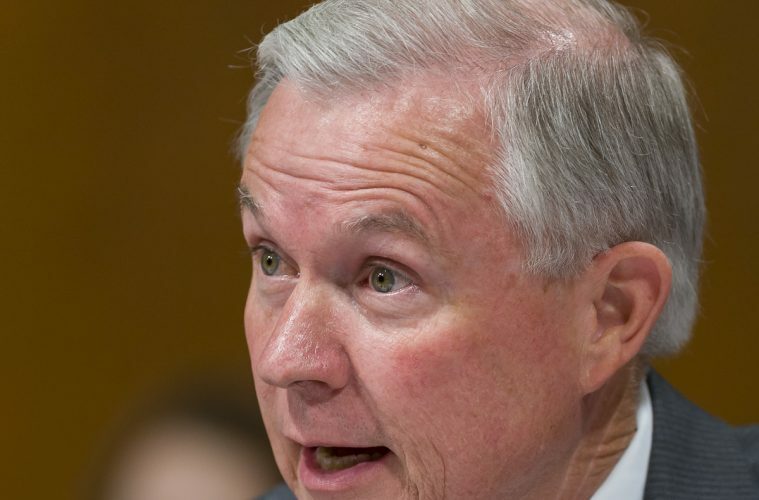 Sen. Jeff Sessions has been an outspoken opponent of Barack Obama and many of the liberal policies Obama and other Democrats have been part of. He was also an outspoken opponent of former US Attorney General Eric Holder, often claiming that Holder was not upholding his duty as Attorney General and abusing his power of office for personal agenda. Democrats are already mounting their opposition to Sessions’ nomination and amid that opposition are charges of his being a racist, part of which is based on his prosecution of the Marion Three back in 1985. In other words, Jeff Sessions has opposed the liberal and socialist policies and agendas of Obama and the Democratic Party. Don’t forget that ‘progressive’ is the politically correct term used to replace socialism since so many Americans are against socialism but have been conned into thinking progressive policies are socially acceptable. Personally, I believe that Sessions is a great candidate for Attorney General and am confident that his hearings, which start January 10, will eventually lead to his confirmation. It will be refreshing to have a US Attorney General who will actually live up to the oath of office and defend the Constitution and federal laws instead of being a corrupt political puppet like Eric Holder. Previous ArticleWhat Can Trump do to Prove He’s Pro-Life?